To log in you need to a be a member of Poultry Club SA. To download the application for membership click on the link below. The origin of this breed dates back to a fowl bred in that section of New England which is located between Narragansett Bay and Buzzard’s Bay. The name Rhode Island Red was given to the breed in honour of the State where it originated from crossing the Red Malay Game, Leghorn and Asiatic native stock. In 1904 the single comb variety was admitted to the American Standards as a distinct breed of poultry. The Rose Comb Rhode Island Red was admitted to the American Standard in 1905, although some breeders acclaim it to be the original variety. The earlier Rhode Island Reds sported both the single and rose combs, some even having pea combs, due to their mixed ancestry and the fact of their being bred primarily for market purposes before they become a Standard breed. 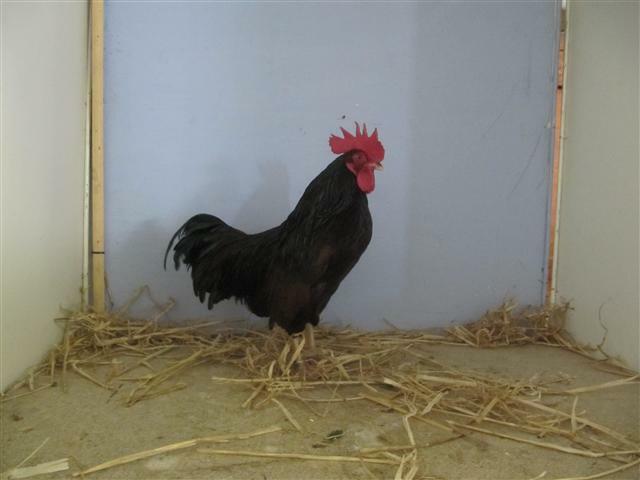 An important dual purpose breed, capable of excellent egg production; also popular at poultry exhibitions. Rhode Island Whites were admitted to the American Standard at Knoxville, Tennessee in 1922. They are said to have originated in Rhode Island from which state they take their name, and were first offered to the public in 1903, a result of crosses of Partridge Cochins, White Wyandottes and Rose Comb White Leghorns. The distinct shape characteristic of both Rhode Island Reds and Whites is the horizontal, oblong body. It is a fairly close feathered fowl, the texture of the feathers being smooth and firm. Designed by Blue Dot Group.